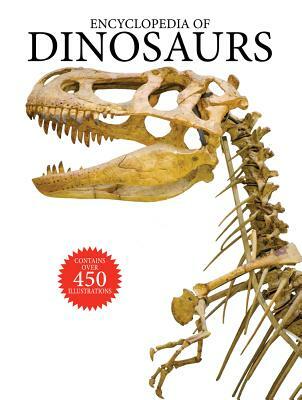 With descriptions of every dinosaur that ever lived, this appealing, accessible encyclopedia--featuring more than 450 illustrations and photographs---is essential reading for anyone intrigued by nature at its most majestic. For 150 million years, dinosaurs were the undisputed rulers of the Earth--and they still fire our imaginations. Using the latest paleontological research, Encyclopedia of Dinosaurs describes the creatures who lived during the great Age of Reptiles, the real-life giants and monsters such as the Tyrannosaurus Rex and Stegosaurus who once dominated our planet. Entries are arranged by chronological period, running from the Triassic through to the late Cretaceous. Information boxes provide key facts and figures on every featured dinosaur. Carl Mehling (Consultant Editor) is the Collections Manager for Fossil Reptiles, Amphibians and Birds at the American Museum of Natural History, New York.